town, to which he gratefully agreed. contractors. VCT will allow them to come again if they wish. nature 2BA, 4BA, 3/16W etc. heavyweight tasks were involved here but Dan as usual retired the winner. 1740 - bxxxxx this I'm off home! The magic of Christmas lights helped make Wirksworth station a festive delight despite the atrocious weather that descended upon Derbyshire's favourite branch line. We welcomed visitors from as far away as Southport, Liverpool and Northampton with Iris near to capacity on the last run of the day. 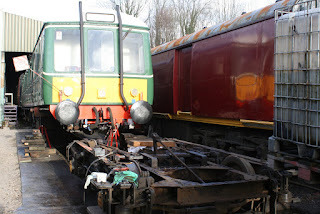 Down the yard the Chief DMU elf could be found repairing the leaking roof of 57505. 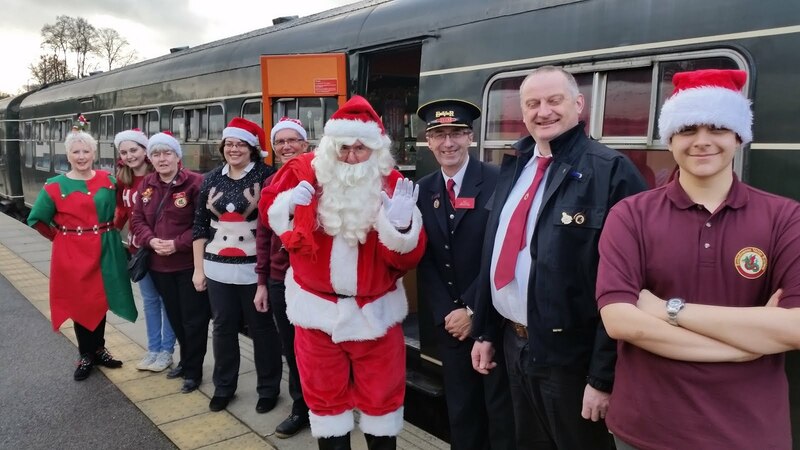 The rest of the DMU elves finalised the work on Santa's train including the toilet leak and checking heater functionality together with all water and fuel tanks filled. Santa's Helpers John and Julie could be found having a ball finishing the Christmas decorations in the North Pole Express and ensuring all the carriage floors are 'spick & span'. Our catering team too were in festive mood putting the final touches to their gleeful Christmas trimmings in the Pullman Buffet and modifying our menus to provide increased gluten free choices. The lone LMSCA Elf focussed with great determination on essential duties, tidying up around 'Cathryn' and a Merry Tim Oakes could be located gainfully employed in his stores van. 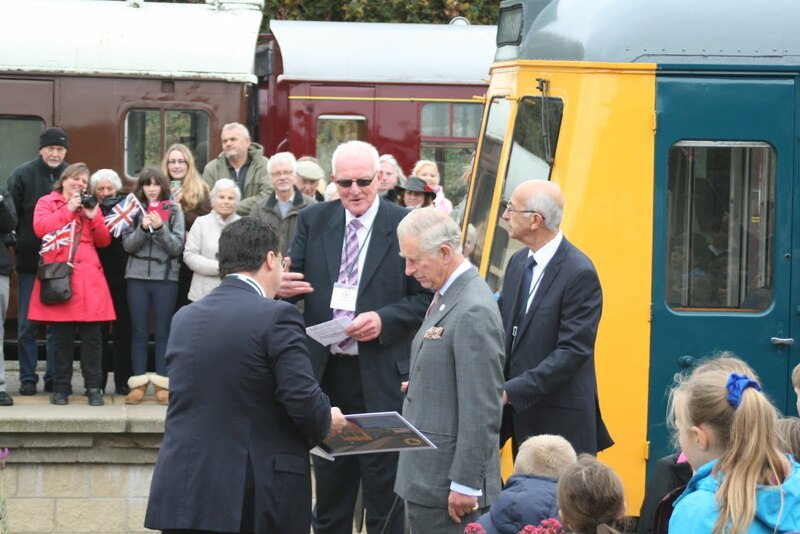 A group of volunteers was found sheltering from the rain in the booking office reflecting upon this year's successes as the final service train of 2015 pulled into Wirksworth Station. 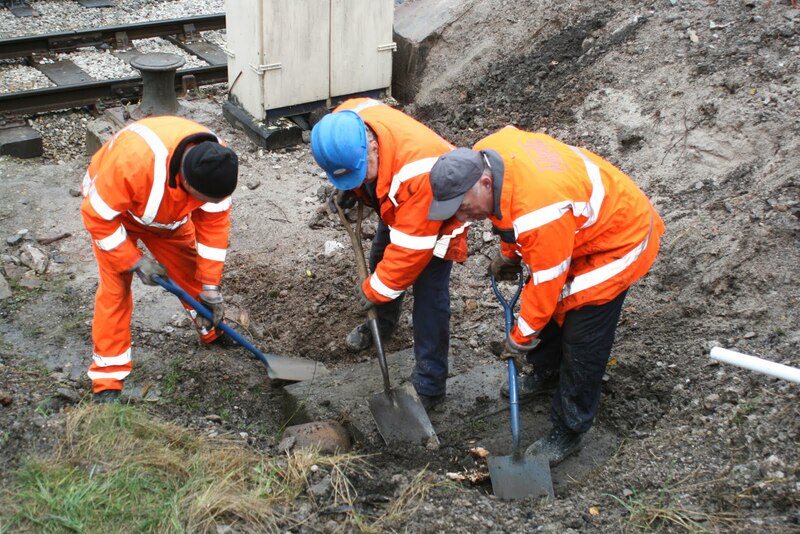 Finally, my thanks must go to today's train crew who ensured all our guests were well looked after and our trains ran to time despite the inclement weather. We were getting into the Christmas spirit today as the 14 foot tall real Wirksworth Christmas tree was man handled into position and decorated. This taskette is not to be under estimated as it took most of the day. 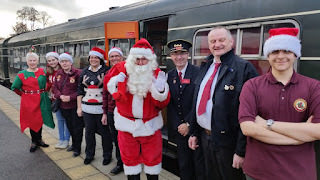 Also decorated was the Santa train itself once it arrived from the engineerium, the Pullman and coaches, platform shelter and interior of the Booking Office. 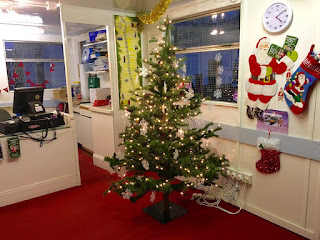 We have a newly donated tree in the Booking Office which looks great although I haven't come across one which takes 6 plug sockets up before… Many thanks to all who helped with this decoratathon. 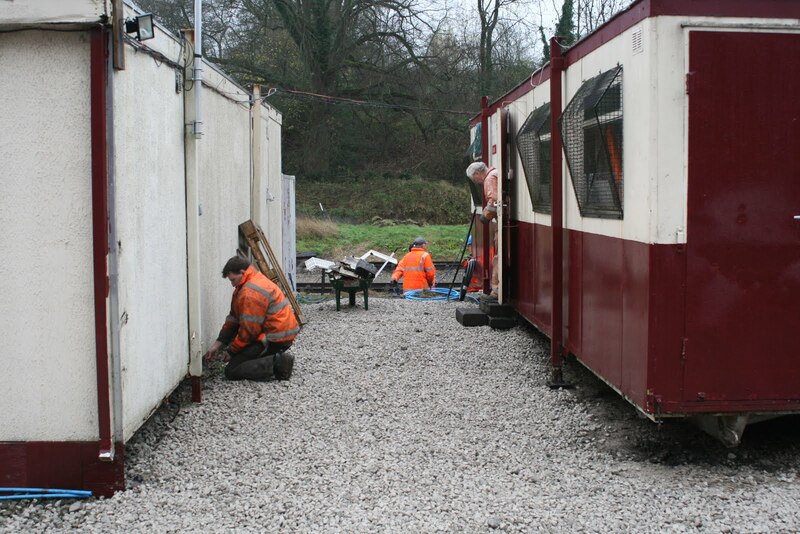 There was only a small number of other people on site, with the Mark 1 chaps continuing with the BSK work. 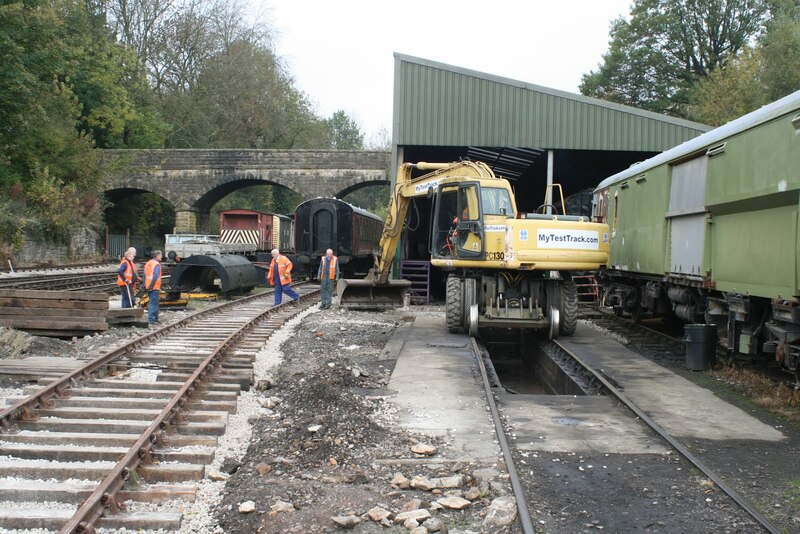 Reasonably mild for the time of year allowing the PW team to complete the rail changing exercise in Wirksworth Platform 1. The Santa train can now be parked up there! The DMU team did a bit of a shunt to shuffle things round in the yard and the Mark 1 team continued working on the BSK. The admin teams were in full flow too. 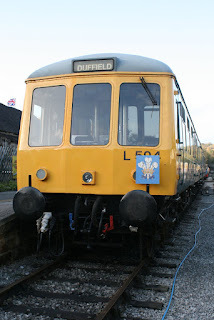 at Wirksworth. Where were the rest of you, not shopping I hope? 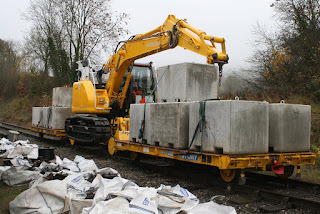 shuffling noises from the region of the narrow gauge. the '1530'. However, with satisfaction assured it was all over by 1330! to talk to, how rude. which did not have the general manager's authority to be there. complete success, with no blood spilt on the carpets. Martin M visited to meet a customer with a booking for January in mind. Dan would prefer to publicise it when all the sign writing is completed. four window frames for the BSK. I'm still thawing out lol. All in all another productive and worthwhile day at the headquarters. Hat's off to everyone who successfully moved the Mess Hall to its new location allowing the new Booking Hall to be exposed to daylight. 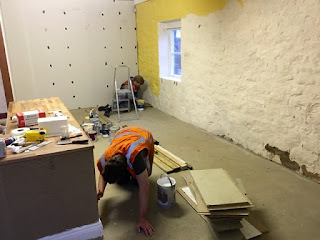 The Permanent Way Team were involved in the finishing work to allow the Mess Hall to be accessed and connected to the services. Not exciting photographs but a significant event which will result in a much more presentable station frontage and, much more importantly, allow Fred and Iris to resume their cleansing routine. PS - Jack London Square, Oakland, in California resembles the Weymouth Quay tramway on steroids. 4 tracks down the town's main street with a constant procession of freight and passenger trains - wonderful! - a very brief look in January 1998 - where does the time go? Mondays are quiet, soothing days at Wirksworth, not much ever happens. At least the weather was kind to us, unlike last week. removed and cleared. Thank you contractors. A one fire day. about half a mile in total. Weeds you have been warned, beware of this man! sure it would have been for good reason. started removing more ceilings in the BSK. refurbishing the BSK's steam heaters. arithmetic duties associated with the signing in book. at some ballast up the yard. contingent can continue with their BTK tasks undisturbed. want to come along to increase the workforce on Monday then? 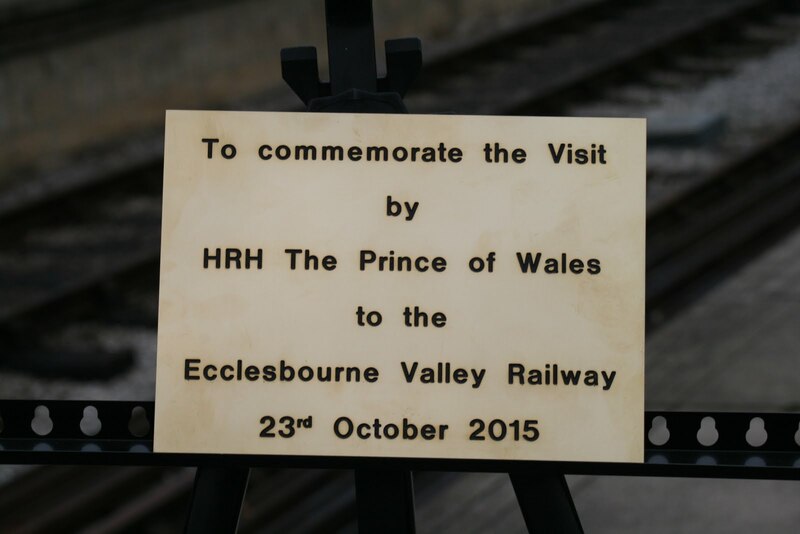 Some miserable weather descended upon the Ecclesbourne Valley today but it did not deter a surprising number of passengers who still chose to travel on our railway. 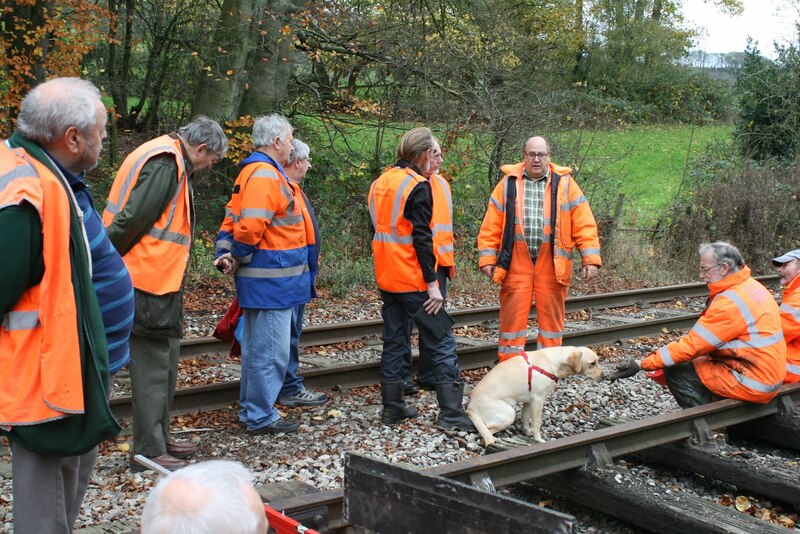 The train crew coped admirably in the conditions ensuring our passengers were warm and dry and enjoyed their visit. Down the yard Tim Oakes et al attended to fitting new doors on their supply coach. The LMSCA continued with the glass cleaning in the BSK. 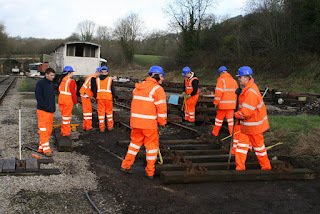 The DMU team split into three groups. 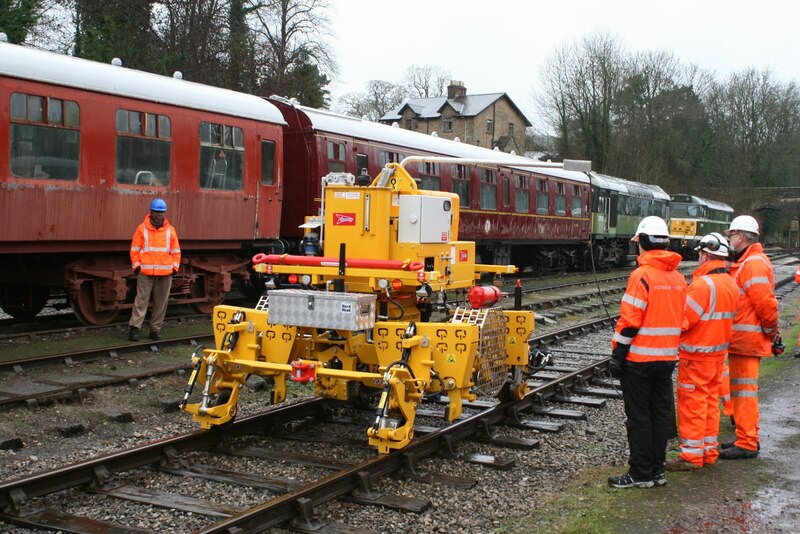 The first group fitted a new heater to 50170 to help ensure our Santa train is nice and warm. Team two could be found working under the Pullman Buffet fitting replacement batteries to the second class to help guarantee that its only the Christmas Tree lights this year that will be twinkling in the Buffet. Finally Iris's electrical fault received some vital attention. Interestingly our railway is described as a Derbyshire tourist attraction 'not to be missed' in a feature in the Daily Express and I attached a link to the full article. Its great to see all our hard work being acknowledged in this way. A voodoo for some, Friday 13th passed without drama. Nathan did another splendid job painting in the new Booking Office and the rest of the foremen began hanging the fire door at the back. Others worked on preparing the mess room for moving, including taking down the flagpole. 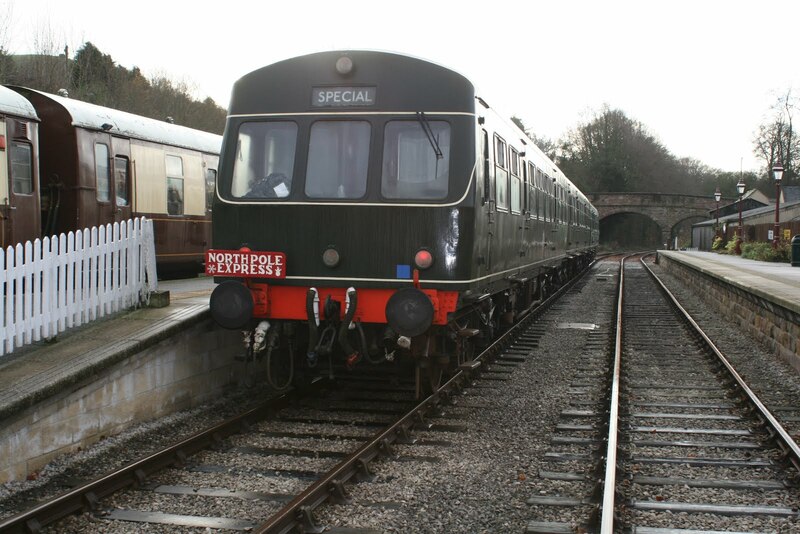 We hosted more volunteers from the Poulton and Wyre Railway to do another driver experience day and they were particularly complementary about the soup served in the buffet at lunch. Dan painted his wagon wheels and Derek continued with the BSK. Still unseasonably mild and for the large part it was actually sunny. 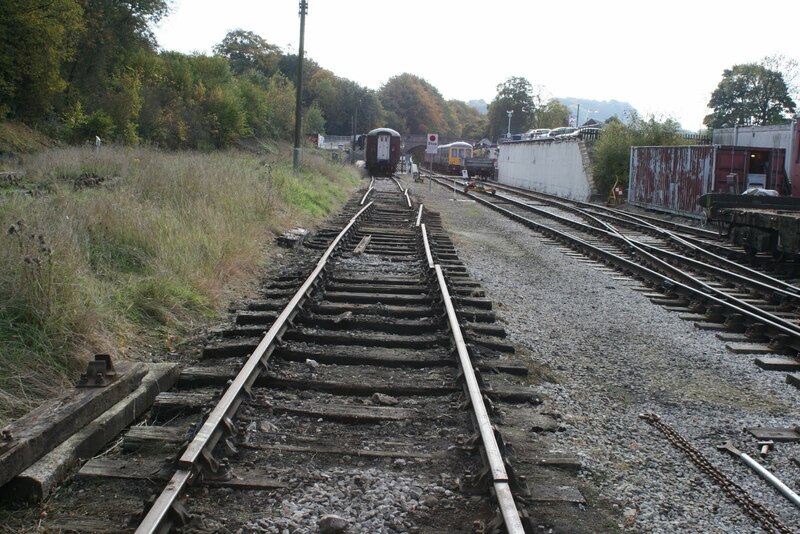 This enabled some wood treatment work to be done on the fence which lines Platform 1, instantly improving the vista. Work began on preparing the actual mess room cabin for moving shortly. 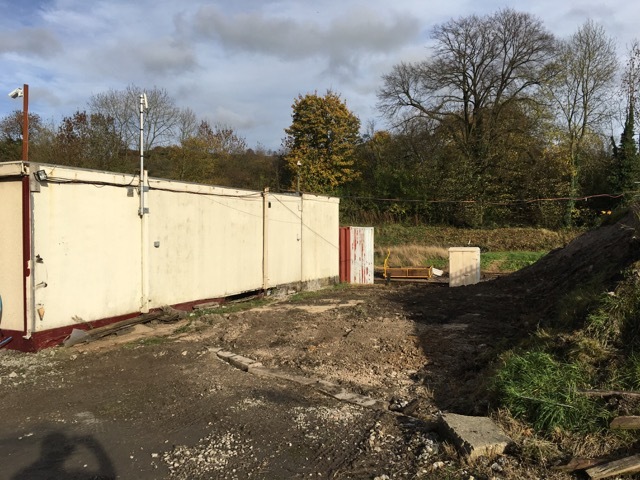 The groundwork, water and power supplies etc have already been dealt with for the new location and with the move looming, a start was made on removing the boards at the bottom of the metal cabin. These boards are mostly decorative although they do have the added bonus of stopping the wind howling underneath helping to keep it warm. Derek was rejoicing at finally taking the last 2BA screw out of the aluminium window frames from the BSK. 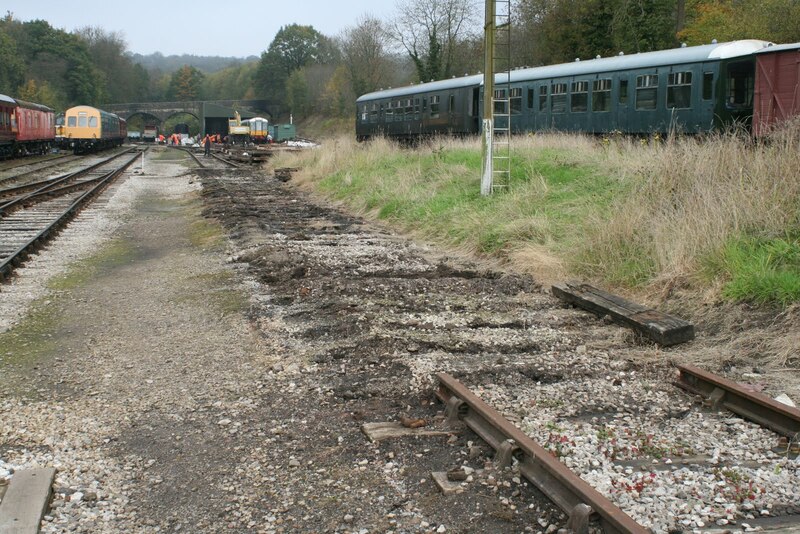 These are all being cleaned up and generally overhauled so you won't recognise them once they're finished. 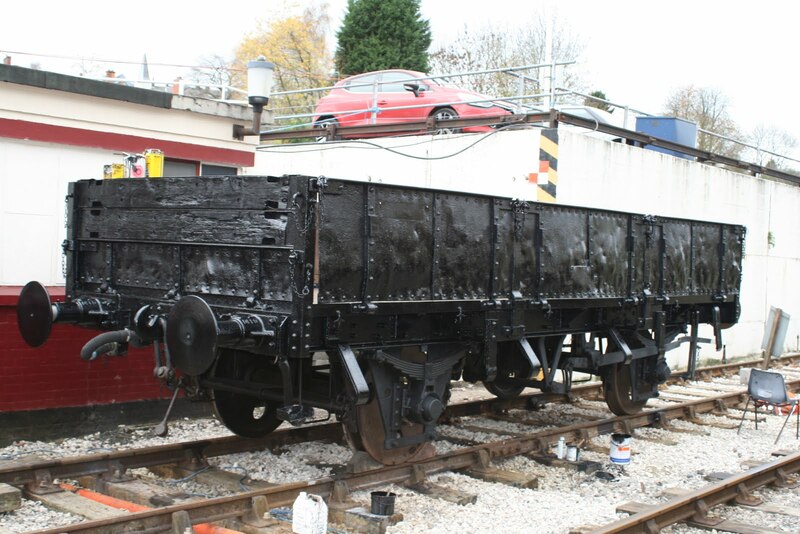 Similarly, the wagon which Dan has been refurbishing is nearing completion with some black paint being applied. 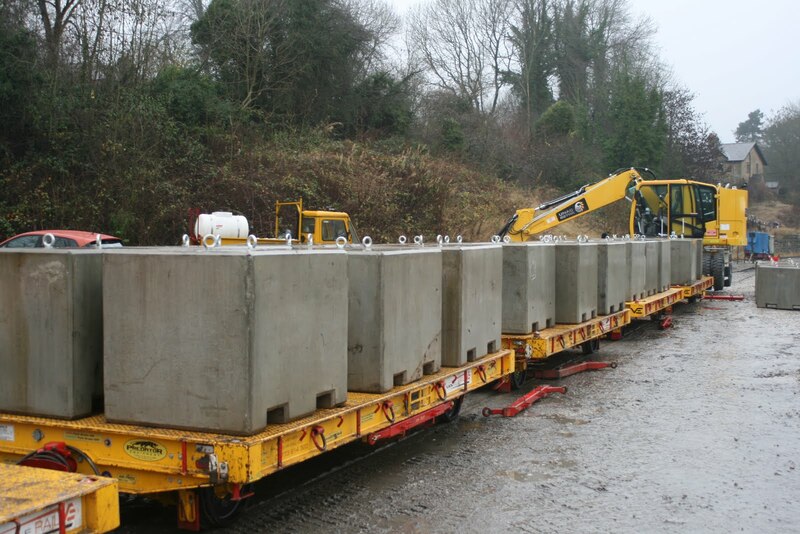 The PWT have pretty well sorted out the new cant on the Wash Green headshunt. Another string to the bow! The administrative departments continued to administer whatever needed to be administered, although of course, the most important thing to make sure is properly administered on a Thursday is the chip order. Whilst taking a new potential customer around Wirksworth there was time to view the progress the Permanent Way Team were making with the extension of the Gorsey Bank siding to meet the demands of our test customers. A really spendid job to achieve the desired 200mm cant requested. 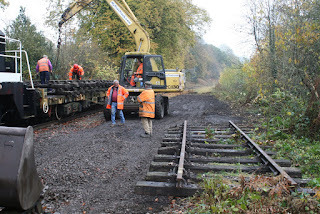 The warm temperatures and dry weather have certainly assisted the PWay team to jack and pack the Gorsy Bank cant extension. The DMU group completed an FP exam on Iris and our Santa Grotto railcar 50170 ensuring the heater worked. It was most pleasant to welcome a working group from the Wensleydale Railway who wished to understand how we constructed the wooden platform extensions at Wirksworth and Duffield. They looked at Wirksworth and Duffield and met Mick Thomas who had masterminded the work. 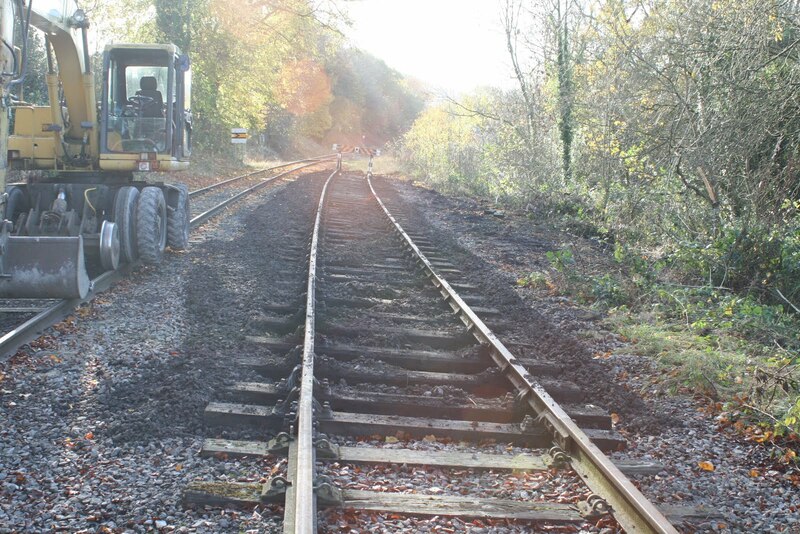 The Permanent Way Team were at work creating the new work that will accommodate a new requirement for canted track for our test customers. The photos show our guests with Mick explaining the planning and implementation of our structures. PS - very much off topic is a look at San Fancisco's cable cars where I ticked off one of my "bucket list" objectives. The time is January 1998 and as we boarded the flight on 1st January it was announced that California had gone no smoking that day. Even a visit to Alcatraz was greeted "this is a no smoking island"! Happily for an addict it was not enforced with any enthusiasm. 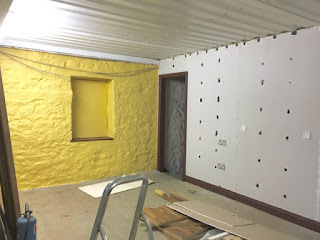 I forgot to say one of the Wensleydale team was an enthusiastic follower of our blog posts and knew a lot about our enterprise from these views. 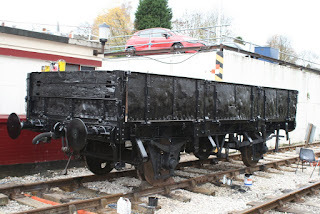 The reason for this additional post is the delightful work achieved by Dan on one of our GRAMPUS wagons. 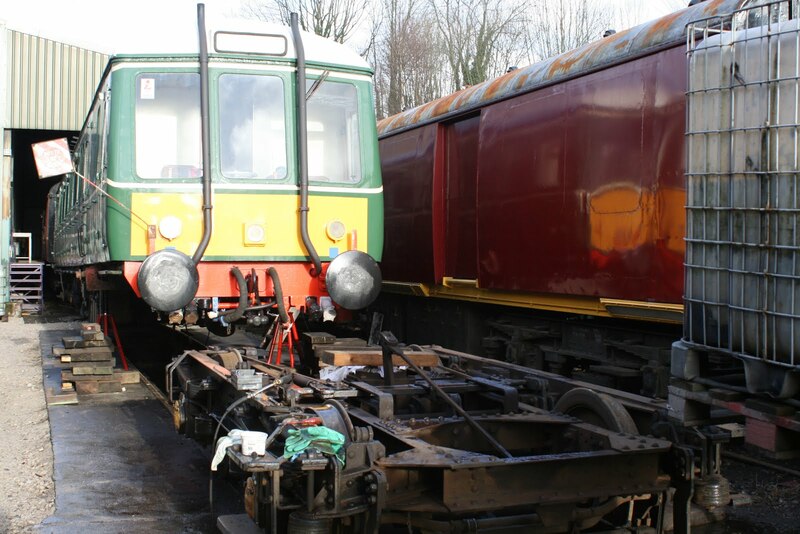 The wagon fleet often looks quite neglected and it is most pleasing to see a vehicle receiving some well deserved tlc. 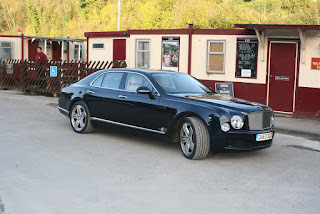 So many thanks to Dan and I am sure you will endorse praise for his ministrations on this now elegant vehicle. PS - just so as you have something to look at there is a return to Belper where I had a little time waiting for Specsavers to mend a pair of glasses! time it was raining, and hard. Lots of progress today all the same. By 1130 it was raining buckets. minutes though as the rain persisted whilst they were doing so. to rain just in case some of it might drain away! buckets of water (what else!) from the mess room. pre-drenched, only to stand in the river, well done mate! despite the weather man's inaccuracies. Atishoo! A miserable wet and windy November day with 7 or 8 volunteers on site only. The primary areas of activity was with the DMU team with Iris receiving an A exam yesterday and today to ensure that is fit for service. Another portion of the team began looking at the 119. There's a couple of issues that need addressing. Firstly there is a leak at the front which has required a certain amount of interior panelling to be stripped out to find and secondly an electrical fault which reared its head a few weeks ago. Nothing disabling, just irritating. 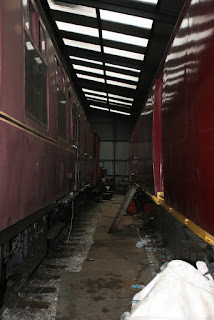 Derek continued with the BSK window frames and Dan nears completion of the wagon refurbishment. Today was the first Saturday of the winter timetable and we still attracted a fair number of visitors despite the early inclement weather. The Commercial Department were in go mode today meeting representatives of Derbyshire's Children's Holiday Centre to assist in planning a number of events here to celebrate the Charity's 125th Anniversary. Also meeting today was the railway's Association who held their annual general meeting at a well known local hostelry. Down the yard the LMSCA continued their work on third open and the Duke's restoration was also attended to. The DMU team had a busy time with electrical problems being the theme of the day. The centre car's dynamo was successfully tested in preparation for our Santa trains and the EVR's very own 'Red Adair' AKA 'Ollie' sprang into rescue mode to diagnose and rectify the electrical fault with the lights in the Pullman Buffet's second open carriage much to the relief of our Catering Manager. Today's photos are of the Royal Class 119's new commemorative plaque fitted today. 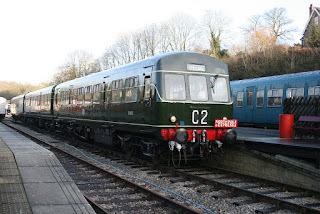 A delightful contribution from Bob Gibbens showing the Denby Dawdler on the Denby and Wirksworth branches including view from the leading cab. Quite a revelation with our Railway looking very bleak and unloved. 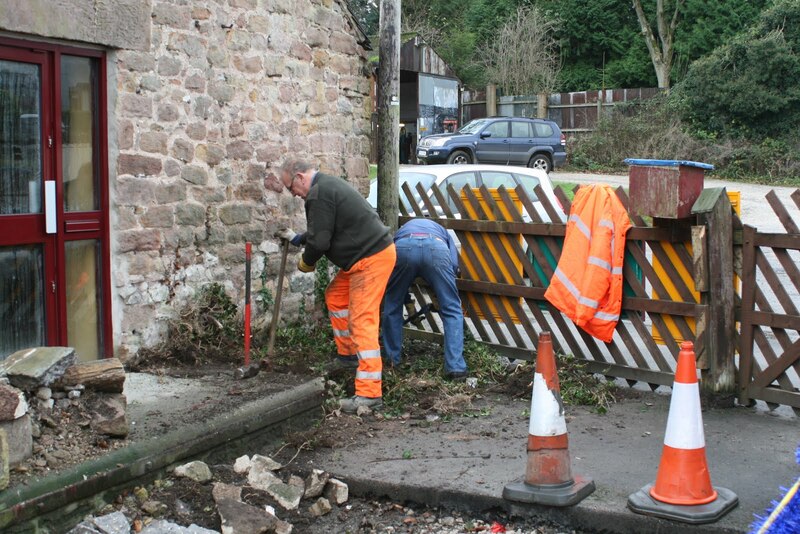 Wirksworth branch starts around minute 32. A wet and miserable but mild November day was perfect for further painting progress in the new Wirksworth Booking Office. The brown beams were done first, followed by the wooden wall which was sanded down yesterday. Whilst all this was going on, John and Richard ably hosted a Bronze Drive a Diesel Day with the royal DMU featuring in the morning followed by actually making history in the afternoon. 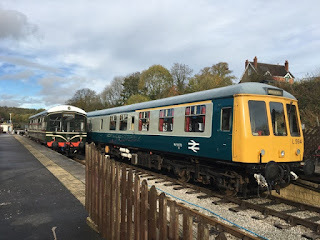 It was the first time a Class 25 with it's distinctive Sulzer tones could be seen (and heard) between Wirksworth and Duffield since BR days. Work continued on the BSK with more window and electrical work taking place. Another day with a test customer ably hosted by Tony Watt. 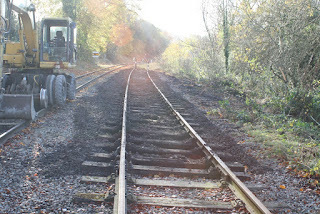 The rail conditions on the Incline really did test the capability of the machine but that's what testing is all about. 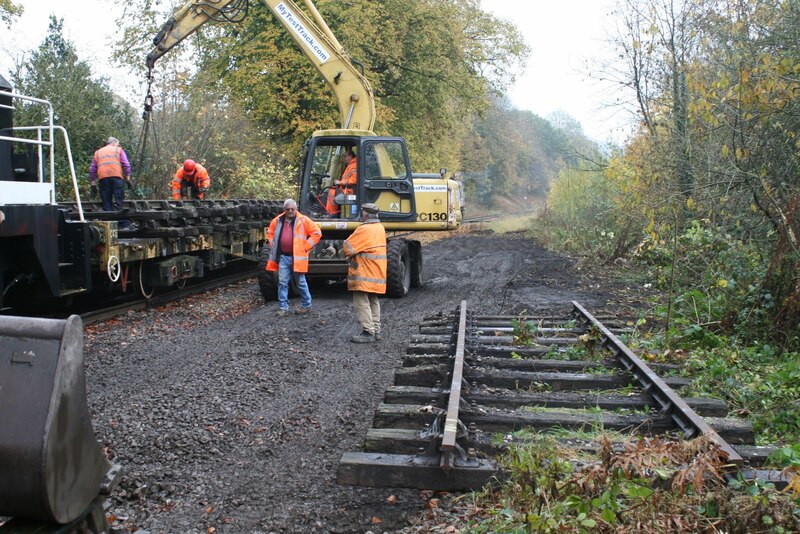 The Permanent Way Team started to position the additional track panels that will form the additional canted track required by new test specifications. Short video of today's test vehicle. No ghostly goings on to report today as our scheduled service pottered up and down from Wirksworth to Duffield with a fair number of visitors. 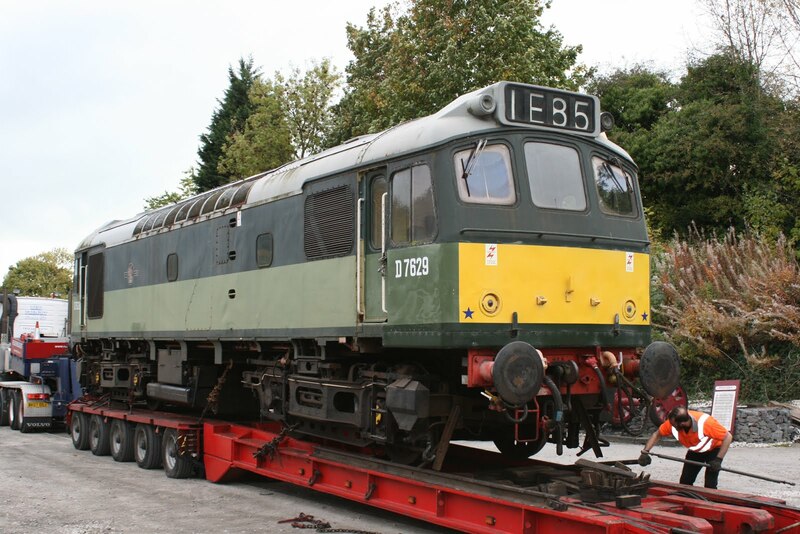 Down the yard Tim Oakes's team of restorers continued work on with the Duke and the DMU team were gainfully employed on a range of tasks including assisting with the winterisation of the class 25. 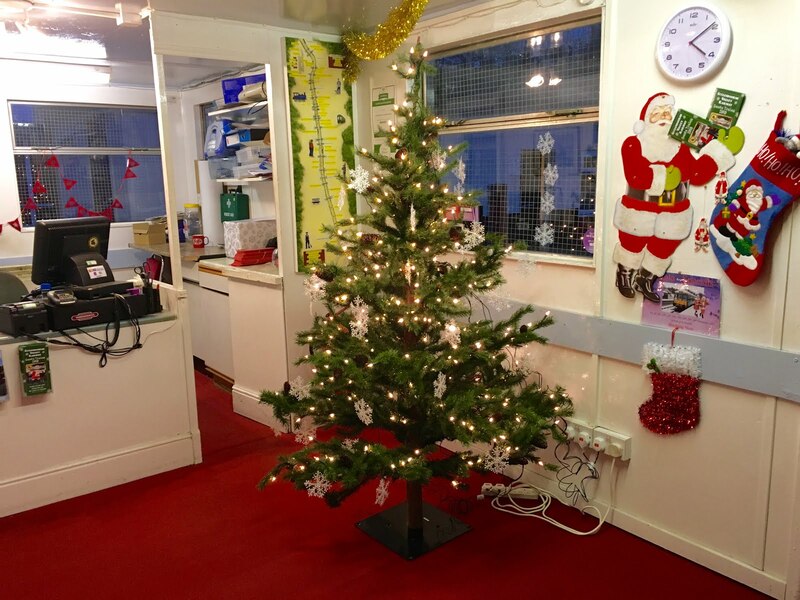 John Ball ran a first aid course in the training room and the booking hall dealt with more santa bookings.